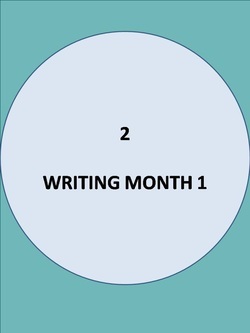 WRITE YOUR NOVEL IN JUST 4 MONTHS! "The first draft of a book - even a long one - should take no more than three months, the length of a season," Stephen King says. If you spend too long on your piece, King believes the story begins to take on an odd foreign feel. When you write the first draft quickly, you don’t censor yourself and the work springs to life. Seems simple enough, doesn’t it? The first months of writing a story are euphoric. A rush! The story is coming to life. And because there is a deadline (even if it’s self-imposed), everything is immediate. Fresh. Four months is long enough to get plenty of words down but not so long that you get buried by perfectionism. In order to write that freely, you learn to get the story, and only the story, down. If you write-edit-write-edit, it stalls progress. If you commit to the schedule and to the techniques we provide, you will complete your book. An outline will appear. Characters will take shape. 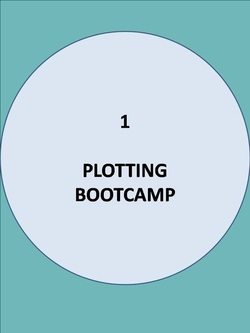 A plot will emerge and scenes will come together to give you the best version of your story. Our guidance, structure and scheduling save you time and frustration. You don't need to waste effort floundering or going round and round in circles trying to find the structure of that novel. We have the road-map and support to get you to the finished first draft. You're ready to write a novel. You know you can write one. And you're longing to write it. So why haven’t you written it yet? ​It’s not your fault - slogging along by yourself month-in month-out is hard. But there’s a reason a deadline is the writer’s best friend - it gives you enough time to get plenty of words down but not so long that you pick your work apart. It’s easy to lose faith when you tell yourself that the first 46,592 words look worthless to you. The Four Month Novel is for writers with serious creative intent who want to develop their work to achieve publication or publishable standard, who just need that little bit of extra support and guidance to complete that first draft. ​“The first draft of a book — even a long one — should take no more than three months, the length of a season,” Stephen King. If you spend too long on your piece, King believes the story begins to take on an odd foreign feel. Story Hook - your story hook checklist – what situation will hook your reader into the story? You’ll identify structural holes and problems - From there you’ll get out the index cards and dig into your first chapter, editing in increasingly detailed rounds from hacking away the excess, checking the mechanics work, consistency and style and dealing with feedback right down to punctuation and reading aloud for flow.